The red spot looks so peculiar at this size and roundness, but that's of course just because I'm used to the Voyager and New Horizons pictures. I do hope it doesn't disappear completely. 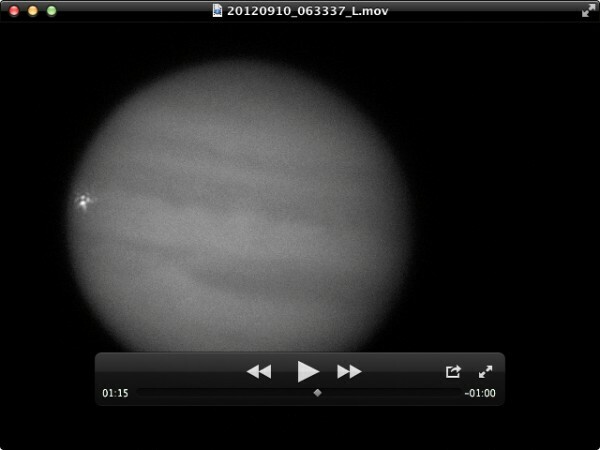 Even though it's just a storm and Jupiter will still be amazing without it, that would make me a bit sad. only 1 month to juno arrival. i heard the mission of juno is explore jupiter and its core. but will it also explore the icy moons? No. Juno's orbit around Jupiter, combined with the specific instrumentation it carries, will not permit any detailed observation of Jupiter's moons. Though it is likely that some low resolution images will be obtained. we can get so many data and science from exploring them. it will be cool if juno would be the jupiter cassini. any chance that after the primary mission, juno will set cruise to explore the icy moons as secondery mission? i know that juno is powered by the sun so i cant see why we cant change juno orbit to explore them. The solar energy is for the cameras and measuring instruments. For orbit changes chemical fuel is required. (Hydrazine and nitrogen tetroxide.) And that is only limited. Certain orbit changes could perhaps be done by swing-by, but fuel is still needed. Yeah. Being solar powered does not imply anything about the method of propulsion or delta-v budget for changing orbits. Besides, Juno wasn't designed to explore the moons. It was designed to explore Jupiter itself: it's atmosphere, magnetosphere, radiation environment, interior structure, and gravitational field and frame dragging of the space-time. Which is a lot of new and valuable science, and is super-cool! But that combination of objectives requires a particular spacecraft design, instrumentation, and trajectory, which are simply not compatible with an extended mission studying the satellites. In particular, the orbit is highly elliptical and polar, so it never even gets close to the major moons. Changing the orbit so that it does go near the moons, especially for an extended period with multiple flyby's, is simply impossible delta-v wise. There will probably still be some pretty pictures of the moons, but don't expect this to be like a Jupiter version of Cassini. Juno is something else entirely, and IMO equally as exciting. This is not a case for Jupiter. Intense radiation in it's radiation belt with degrade spacecraft's electronics and solar panels quite quickly. and about the icy moons. i guess we need to wait 6 more years for ESA mission "juice" launch and around 11 years until arrival. arghhhhhhhhhh so much wait!!!!!!! cant wait for that. but the strange thing about juice i see is that the mission will focus mostly on genymad and callisto. why not focusing on europa, i think its the jewel in the jupiter system with the best chance for life. any confirmed NASA missions to the icy moons yet? or there is just proposed missions? edit: i see there is nasa mission too called Europa Multiple-Flyby Mission. launch in 2022 too. gonna be exciting years, hope nasa and esa will work together. "The Europa Clipper would take about three years to image 95% of the surface of Europa at about 50 meters per pixel. With this data, scientists could then find a suitable landing site"
No. The radiation levels on the surface of Mars are comparable to those in low Earth orbit, where many spacecraft have proved their ability to survive for years, even decades. It's hard to spend a lot of time near Io and Europa due to Jupiter's radiation belts. Lethal to human means hazardous to spacecraft. This is why old (Galileo) and future flyby missions (such as cancelled JIMO) avoids Io and Europa, despite on the fact that they are the most interesting jovian moons. ohh ok i get it now. all of that radiation coming from jupiter? magnetosphere? i guess its not the sun because all of the moons pretty much get the same amount of sun radiation because of the same distance. The radiation comes from the sun. They will be caught in the magnetic field of Jupiter. Just as in the Earth's magnetic field, in the Van Allen radiation belt. The radiation belts of Jupiter is much stronger than that of Earth. But also in the radiation belts of Earth starships may not stay on for long. Therefore spaceships are leaving Earth over the poles.